Every girl needs a good BB cream. A lot of the time, this can mean shelling out a lot. Makeup is expensive – especially if it’s high quality. If you wear BB cream on your face every day, this can add up to a lot of money spent over the course of a year. Luckily, there are some excellent options if you have a budget for your makeup. Let’s take a look at the top 10 best drugstore BB creams that will keep you going without having to go over budget. Why are These the 10 Best Drugstore BB Creams? Why Are These The 10 Best Drugstore BB Cream? Our review involves an in-depth description of the BB cream, along with a conclusive star rating out of five. This process has helped us to determine what makes a good drugstore BB cream and which ones you should be spending your money on. Without further ado, let’s begin our list of the best drugstore BB creams – not only will they look great, but they’re great value for money, too. One thing you want to make sure a good BB cream has is coverage. There’s no point buying a BB cream without it. NYX BB Cream is proudly known for its ability to hide every blemish and bump effectively. While you may be tempted to think that this means it's cakey – it's not. The NYX BB Cream has a surprisingly hydrating, lightweight feel when applied to your face. 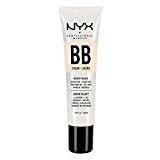 The different shades available in the NYX BB cream are capable of matching your complexion perfectly, while the coverage is there but not over the top. This drugstore BB cream is said to blend well and look great with other products including primers and contouring kits. The NYX BB cream is particularly useful if you've got sensitive skin that is prone to being red and blotchy. When you use the NYX BB cream, you don't have to consider a foundation over the top because it does its job. The next drugstore BB cream on our list does what every great BB cream should do – moisturize. In fact, the Covergirl Smoothers BB Cream claims to offer a total of 12 skin benefits in one dinky tube. The Covergirl BB cream is a lightweight moisturizer that provides a sheer coverage over the complexion. This BB cream also offers you sun protection too. It's known to give you good coverage without looking like you're wearing anything at all. The Covergirl Smoothers BB cream is great at looking natural while toning out the skin. It matches the tone of your skin quickly and can blend well with other makeup products. This drugstore BB cream has a light, clean feel to it – you won’t be left feeling oily or heavily made up. The UV protection will filter out sun all day long. If you like a more substantial coverage, this isn't the BB cream for you. If you’re someone who has sensitive skin, the next BB cream on our list is a great option. Sometimes it’s hard to avoid those darker circles around the eyes – especially if you haven’t gotten enough rest. Luckily, there’s an effective way to hide these. The lightweight formula of the Maybelline Dream Fresh BB Cream does a great job at hiding blemishes, spots, and dark circles underneath the eyes. This is an excellent BB cream if you have sensitive skin. While other brands may cause you to have flaky and dry skin, the Maybelline Dream Fresh BB Cream instead of moisturizers and repairs the skin while covering it up in the meantime. It’s also a great option if you have trouble finding a BB cream that matches your skin tone well. The Maybelline Dream Fresh BB Cream is a great everyday BB cream. Do you find yourself having issues with specific areas of your skin that just don't seem to back down, ever? Wouldn't it be nice to find a BB cream that not only made your skin look great, but also fixed it at the same time? Physicians Formula BB Cream has been praised for its multitasking abilities and a particular focus on problem areas that need healing. 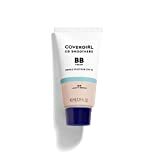 This BB cream brightens, conceals, primes and protects from the sun – all for the price of a drugstore BB cream. The Physicians Formula is said to help clear your skin up and help it to feel softer. It's an excellent choice if you're someone who has skin that's prone to acne and blemishes. Instead of hiding it under layers of makeup, try letting it breathe and heal with Physicians Formula. Sometimes you just can’t pass up on the home brand of a product. While this may mean lower quality, when it comes to Ulta’s edition of BB cream, the quality remains the same. 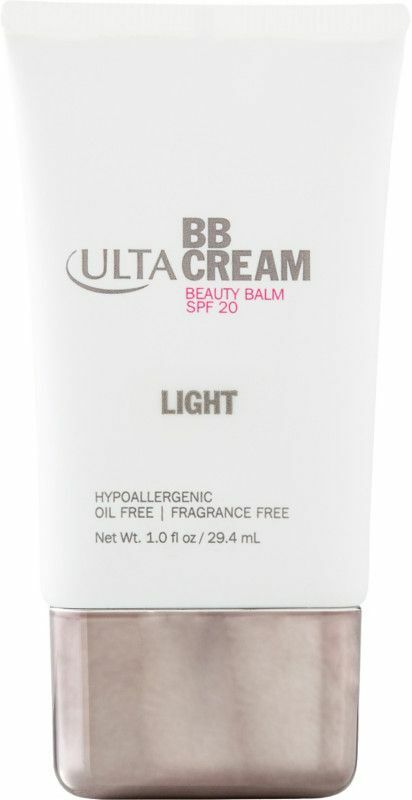 Ulta BB Cream is a best selling drugstore BB cream that is showing no signs of letting up. It's moisturizing, sheer and free from oil, leaving your face feeling bright and clean. The Ulta BB Cream is a great option if you’re someone who likes wearing makeup to an extent but doesn’t want to feel like you’re swimming in it. When it comes to value for money, this BB cream is up there. 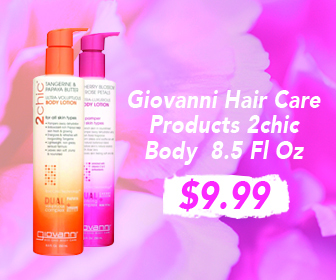 It gives you everything you need from a BB cream and more at a great price. It’s said to completely even out skin tone even on the first application. The next drugstore BB cream on our list is a tried and true edition that’s been around for years – the more it’s used, the better its reputation gets. 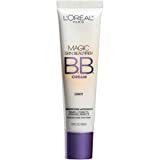 The L’Oreal Studio Secrets Magic Skin Beautifier takes BB cream to another level. It has encapsulated pigments that match perfectly to the tone of your skin. Because it comes full of antioxidants, it also leaves your skin feeling hydrated with a finish that’s flawless. Coverage is one of the key features that’s noted in the L’Oreal Secrets BB Cream. While it typically comes out white when you first squeeze it, it still manages to blend in with your skin tone successfully. It’s known for being easier to blend than foundation, which can often be thick and oily. This BB cream is ideal if you’re someone who doesn’t like to take too long when you’re getting ready. While you may have tried a more expensive brand of BB cream, you’ll only end up coming back to this one. If your skin is oily one day and dry the next, it can be difficult finding makeup products that will cater to both of these. Usually, you have to use a variety of coverage which can end up costing you more than you wanted. Thankfully, there’s Garnier for this. Garnier’s Miracle Skin Perfector BB Cream has combination skin written all over it. As well as being ideal for both skin types, Garnier BB Cream is also known to improve the skin’s complexion as well. Users of the Garnier BB Cream love that it has a creamy texture and it’s SPF. It stays matte on your face throughout the day and has such great coverage that you don’t need to wear a foundation with it. 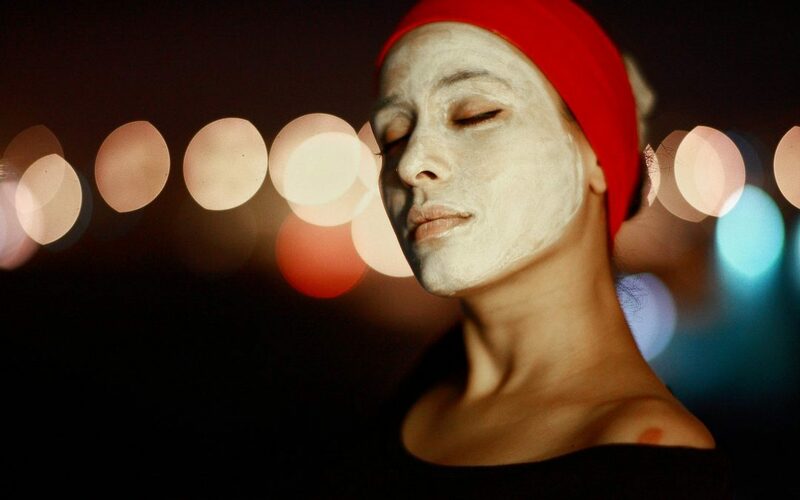 Instead of having combination skin, maybe you suffer from oily skin all year round. It can be frustrating trying to wear makeup when the oil in your skin permeates through regularly. The Rimmel London Match Perfect BB Cream is excellent when used with oily skin. The matte finish on this BB cream helps to keep the oil at bay. It’s also great at brightening up problem areas and giving your skin a more even tone all over. Users of the Rimmel London BB Cream say that it leaves their skin glowing. The matte finish is a favorite feature because it helps to avoid that unappealing shiny look. While the coverage of the Rimmel London BB Cream is light, this doesn’t mean that it doesn’t do its job effectively. This BB Cream is an excellent option if you're trying to achieve the natural makeup look. The next drugstore BB cream on our list might not have a particularly high SPF factor. However, it does have other features that can cater to your other skin needs. The Burt's Bees BB Cream is a great option if you're worried about your skin aging over time. It's effectively an anti-aging serum, and a BB cream all rolled into one – and it will cost you a lot less than other more expensive brands. 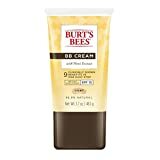 The Burt’s Bees BB Cream will firm the skin and has anti-wrinkle properties, among six other benefits. What we love most about Burt’s Bees BB Cream is that it’s made out of almost 100 percent natural ingredients. This BB cream is a natural formula that gives you a moisturizing full-face coverage to protect your skin. It is available in a wide range of different skin tones. Our last BB cream had your skin in mind when it created its natural formula. This next one focuses on this as well as being cruelty-free and vegan – all for the price of a drugstore BB cream. The Pacifica Alight Multi-Mineral BB Cream is eco-conscious. It’s made out of kelp, coconut water, Damascus rose leaf and sweet iris leaf. The specialized natural pigments found in this BB cream's formula will automatically adjust to your skin tone. This means that it's one size fits all – just one color of the Pacifica BB cream can match an extensive group of people. The coconut water in this formula is infused with plant stem cells and hyaluronic acid. It’s the type of BB cream you need if you’re someone who cares about what goes on your skin and into the environment. This means that you should be able to find a good quality BB cream without having to break the bank. With our comprehensive list of the top 10 best drugstore BB creams you’re guaranteed to find one that fits your needs, at a price that you can be happy with.